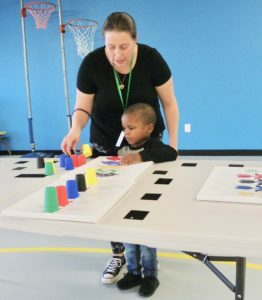 Kingsway offers a full-day preschool program for children ages 3 to 5 presenting with learning, communication, sensory, fine or gross motor, behavioral and/or medical challenges. Our program embraces play-based learning in a nurturing, fun, and safe environment. Our highly qualified team is committed to working with each child to address individual educational and therapeutic goals while encouraging self-initiated exploration. Goals and objectives are developed together with families and services are delivered in an integrated model by a highly collaborative team of professionals. The educational team is comprised of Special Education Teachers, Counselors, Assistive Technology Specialists, Occupational Therapists, Speech Therapists, Physical Therapists, Behavior Analyst and Nursing personnel, all working together to facilitate each student’s achievement of their individual goals and objectives. The parent is not only involved in the identification and selection of the most appropriate school placement but is the primary driver of that decision-making process. Kingsway strongly recommends that the home school district be involved as soon as possible in the referral and intake process. Kingsway staff can assist you in that process and you may access that assistance by contacting Elizabeth Dalzell at (856) 545-0800. Ms. Dalzell can also arrange a program tour for you and provide an initial opportunity to meet Kingsway Preschool Program staff. The Elementary Program addresses the needs of students age 5-14 who present with an array of developmental and learning challenges. 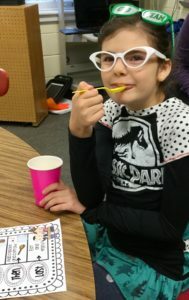 With a comprehensive focus on functional communication, self-help skills, positive behavior, and community participation, the Elementary Program addresses individual needs and abilities in the context of a dynamic, integrated model. Each classroom team is composed of core teaching and paraprofessional staff, as well as a designated roster of related services providers. Speech, Occupational, and Physical Therapists, Behavior Analysts, and an Assistive Technology Specialist support each team in an integrated fashion, contributing to the development of the overall classroom program, in addition to individual student programs. The Elementary Program’s emphasis on such a team-based instructional model sets it apart from other school programs. By this point, the parent typically has an established relationship with a home school district case manager, and it is not uncommon for parents to have had conversations with case managers about alternative placement options for their child. In our experience, most of those conversations have been quite positive and constructive, but if you require assistance in this process, please contact Elizabeth Dalzell at (856) 545-0800. Ms. Dalzell can also arrange a program tour for you and provide an initial opportunity to meet Kingsway Elementary Program staff. 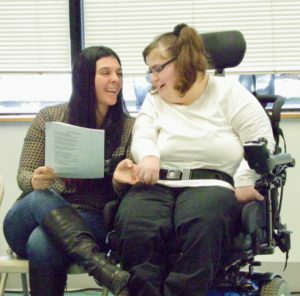 Kingsway Learning Center’s Secondary Program (KLCSP) was developed in direct response to the need for improved transition programming for students with multiple disabilities between the ages of 14 and 21. To meet those needs, a comprehensive array of academic and therapeutic services are provided, which facilitate each student’s successful transition to an active post-secondary life. 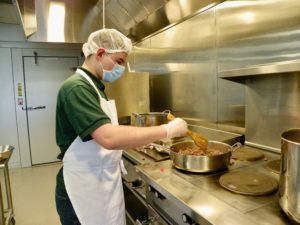 Utilizing both school-based career simulations and authentic vocational sites developed in partnership with community businesses, highly individualized programs are created utilizing a functional approach to academic and pre-vocational achievement. Academic and therapeutic goals and objectives are developed together with the student and parent. Services are delivered in an integrated model by a highly collaborative team of professionals. The KLCSP educational team is comprised of Special Education Teachers, Job Coaches, Transition Coordinators, Counselors, Assistive Technology Specialists, Occupational Therapists, Speech Therapists, Physical Therapists, Behaviorists and Nursing personnel–all working together to facilitate each students achievement of their individual goals and objectives. The Secondary Program is comprised of two program components: School Based Instruction and Community Based Instruction. Both programs follow a best practices approach and utilize the latest research-based methods of instruction across the four primary domains of effective post-secondary preparation: Vocational, Community, Domestic and Recreation, and Leisure. 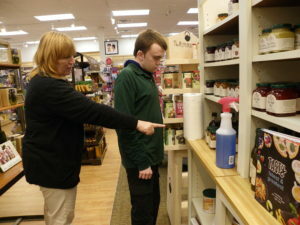 KLCSP’s School Based Instruction Program utilizes career simulation modules to address academic content, Activities of Daily Living and Instrumental Activities of Daily Living and the development of pre-vocational readiness skills. These simulations change periodically in order to reflect economic trends. As students move through the program, transition coordinators work on a variety of transition planning initiatives with the student and their families as the entire team prepares for graduation. Our social work team takes a person-centered approach in planning for transition, providing assistance navigating the social security and guardianship application processes. Ultimately creating and implementing a person-centered transition plan that leads to a successful post-graduation vocational opportunity or adult program placement.